]. 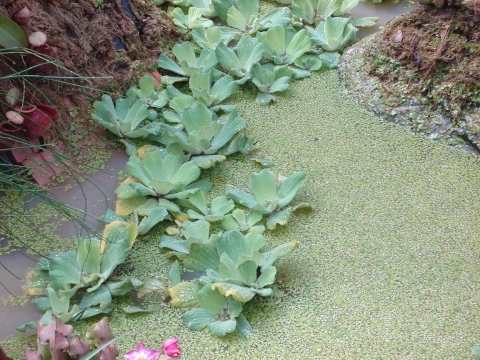 The plant can spread quickly, especially in still water, to form quite extensive clumps. The plant is sometimes used locally for food, but only usually where nothing better is available. It has a range of medicinal applications and is also used as a source of organic matter and to remove toxins from polluted water. It is sometimes grown as an ornamental in the tropics and as an indoor aquatic ornamental in temperate regions. Tropical and subtropical areas of Africa; Asia to New Guinea and N. Australia; southern N. America, S. America, the Caribbean and Central America.